I just purchased a new TQi from the local hobby shop. Got home, replaced the receiver in my car, put the batteries in the transmitter and turned it on. All was good. I then downloaded the Traxxas Link App and as soon as the transmitter is connected, it tells me I have to upgrade the firmware to continue. I select the only available option, 'Proceed', which brings me to the version information screen. It finds the transmitter successfully with '2.0.44 to 2.1.56' next to it. The bottom button turns blue and says 'Touch Here to Proceed With The Firmware Update'. Selecting it brings me to a new screen with a single centered button saying 'Begin Update'. I select the button and the status label changes to 'Getting information from transmitter...' Almost immediately it changes to 'No response to the last packet. Retrying...'. After a moment, the screen changes to say 'Failed after too many retries. Please turn off and on the transmitter and vehicle and try again.' with a new button saying 'Retry Update'. If I select retry, same thing happens. I have tried power cycling both the transmitter and receiver. Uninstalling/Reinstalling the iPhone app. Rebooting the iPhone. Resetting the model memory of the transmitter to factory defaults and rebinding the transmitter and receiver. It will not install the update and it's extremely disappointing. Please advise. An issue like this is probably best handled by the Traxxas Customer Support team. Go to the app store and update to the newest version of the app. There is a fix in the new update to take that bug out. I've tryed that too yesterday and now again and had the same results..
Will traxxas ignore that issue??? Last edited by csnakagi; 09-08-2012 at 04:21 PM. well heck, if you dont want the old one send it to me... I will take it off your hands..
1/10 Titan 775 bandit COMPLETED!! I had the same issue where I connected my iPod to the TX and did the firmware update. It killed the whole TX to where it wouldn't even power on. I called Traxxas, they were aware of the situation, gave me an RMA and I sent it back to them. They promptly sent me a new TX. This time, when I did the firmware update, I made sure the TX and RX were both turned on and sitting right next to each other. The firmware updated without any issues and continues to work fine to this day. My advice, make sure both TX and RX are powered on before you do the update. I have a TQI 6528 (SN A0044324) from/for my summit and worked perfectly well with my lovely beast. The transmitter is blinking orange. I lauch the firmware update. The Transmitter LED is now solid green. Whenever I turn on my Transmitter it flashes Orange and it won't connect to my Receiver/Summit. Application Version 5.2.0.5249 from April 27 2015 running on a Android Note 3 with Android Lollipop. My son did the update on his docking base TX(non bluetooth). Now It's just blinking both red/green (orange?) at the same time really fast and won't do anything. If things go well, they should link in a second or two and LEDs on both ends turn green. Try it out. I've tried everything and mine won't stop the blinking. Can't rebind...can't get the iphone to connect...nothing. The orange blinking never stops. I can hold Menu or Set or both, it will blink orange forever. Unless I try to update the firmware, then it turns green but inoperable. Turning off and on, it will again blink orange. Traxxas Support told me to contact my local hobby shop in Europe. But I bought the TQi in the US. And the Firmware flash process destroyed the TQi, not "using" it. I am very frustrated. Did anyone ever find a solution for this?I've got this RX/TX sitting here collecting dust. I'd like to get it fixed so I can reinstall it(and remove my Spektrum rx). Wanting to sell the Slash Ultimate and will be much easier to sell rtr...not needing a rx/tx. Got the same issue here. My TQi is now dead. I updated to the latest iPhone app. connected it to the docking base and it wanted to do an update. I got to part 2 of 2 and then got almost to the end and says transmitter disconnected. I now just have a rapidly flashing RED/GREEN light on the TQi and it won't respond to anything. I will be really annoyed if this update Bricked the TQi. Last edited by Electromen; 01-02-2016 at 09:27 AM. The Menu Set process doesn't work on mine. Just keeps blinking red/green. I saw this the other day and tired it but had no luck. However, I was finally able to get it to work by getting the app to pick up the Transmitter. Took several goes to pick it up and then still took a couple of goes before the firmware copied over correctly. It look like the firmware had been wiped on the Transmitter but just hadn't taken up the new version as it said the version on the transmitter was 0.0.0. Oh and just have to say that Traxxas support really sucked with helping me with this. They just said that the Transmitter needs to be repaired at my cost even though it was their app that caused the issues. Didn't even offer any problem solving to try first. Really poor poor form. I expected a lot more from their support team. I'm glad you got it working, Happy New Year. Yeah they made me send mine back for $20. The kid I talked to twice was a total prick. I don't understand how so many people think they are so good. People on these forums are twice as nice and helpful as the support line morons. Everyone seems to rave about their customer service. I have dealt with them 3 times now and all have been total crap. Forum has been so much more helpful. Has anyone come up with a fix for this? Got a new transmitter 6529A installed the BT module from a two channel I have. Powered it up, and linked it to my S6 running Android 6.0. Went to update the firmware. First stage went through. Second failed and gave me the orange LED. Can't bind it to the car nor can I get it to complete the firmware update. Please help before this thing becomes range fodder. Had a feeling that was gonna be the response I got. Thanks I give them a call. Thanks for the commentary and opinions! Just wanted to chime in with another bricked transmitter. Just got my wireless module, was going to go and get everything setup the way I like, when I was prompted to upgrade my firmware. Now I'm sitting here dead in the water and cannot get the transmitter to do anything. Well, at least my Xmaxx looks pretty. Sorry if this has been asked and answer was given, but who makes the a-arms that you have on it? They look outstanding! This is the Integy Suspension Conversion Kit, it's super beefy. Stronger than the other billet arms, the strongest on the market. I also upgraded with the Integy steering arms and +12mm wheel hubs. Here's a video of my failed firmware update. Follow Up: Called Traxxas support. Like others have stated, the transmitter has to be sent back to Traxxas to be fixed. As this thread/problem is several years old, you'd think they'd solve the problem by now. Guess not. I'll be looking out for a transmitter/receiver replacement. I have the same problem. 2 of my tqi transmitters died because of a firmware update. 1 was the tqi 2ch with docking and the other a 4ch tqi bluetooth version. the docking base tqi died while updating and the bluetooth model did the update and worked ok but after tuning off it wouldn't turn on anymore. if I turn them on nothing happens. no led nothing. i have no warranty on them anymore. My LHS www.toemen.nl says call the importer, the importer says its broken beyond repair and I have to buy a new one (I will but it won't have Traxxas on it anymore). Traxxas support says call my importer for my country. I think Traxxas won't be doing anything about it. they not going to solve this problem. they will just do nothing and make a new transmitter and say you to buy that. I have only 1 word for it!!!! Futaba. A couple of yrs ago I had one where the green LED went out and I sent it to Traxxas and they said they reflashed it and I've never had an issue since. Now I have 3 #6528 tx's and all 3 with blue tooth modules and all 3 are connected to the 3 trucks and 1 boat so if one goes down I've always got a backup. All 3 tx's and blue tooth modules did the latest firmware updates (Aug 2018) on 3 brand new 6533 rx's so all 4 now have telemetry with no issues. I´d like to share my problems about the firmware upgrade of the tqi transmitter and receiver via Bluetooth. any problems. 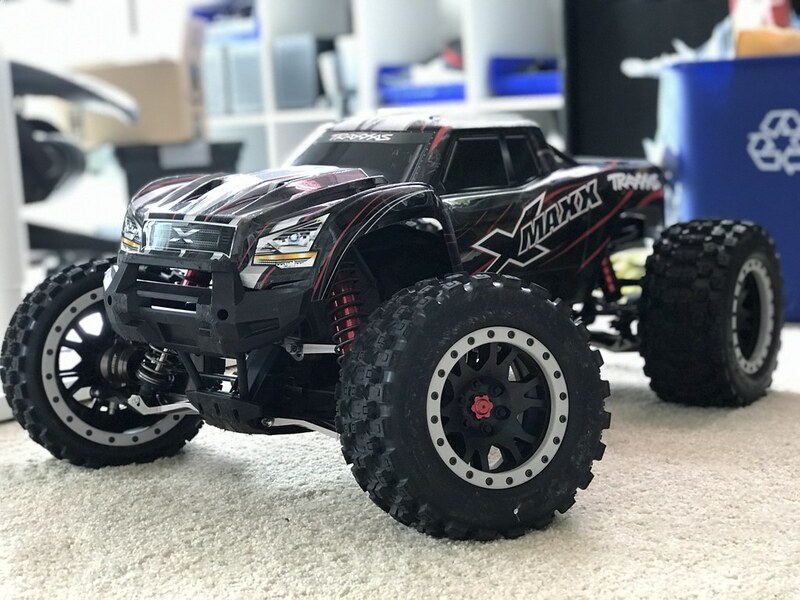 I was really happy to own that fantastic RC and had a lot of fun with it... till summer 2018. Another firmware upgrade... no problem, i thought… but: FAIL ! Suddenly lost connection between Android Device and transmitter during update. So i had the fast blinking red/green (orange) light on my tqi transmitter. I tried everything… reset to defaults...new binding…fail...even connection between phone and transmitter failed. Nothing to do. 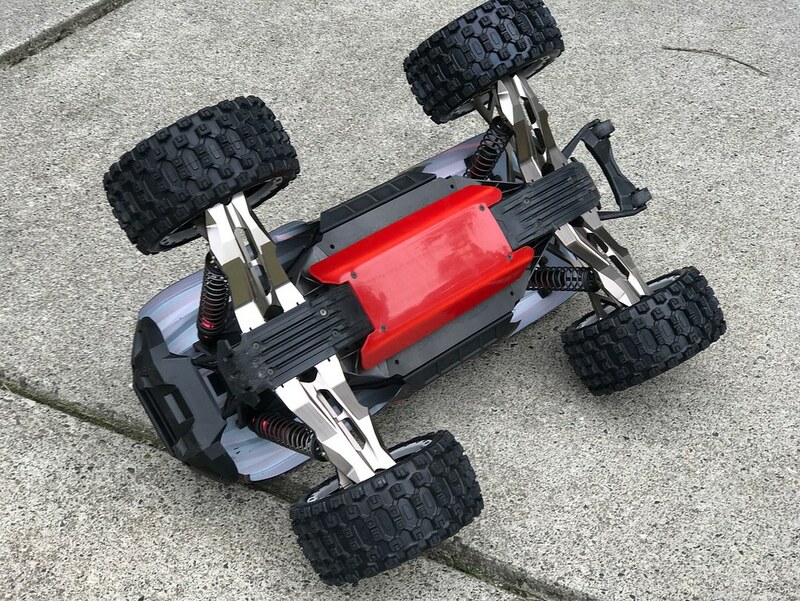 Sudden death of my loved RC, just after i had upgraded it with integy parts and other stuff for lots of money. So far so bad. I was frustrated and storaged my slash for several months….almost forgot about it. But yesterday i went back to solve that problem, because we miss the slash around the Ford Raptor of my son. One last try to get rid of that blinking issue, before shipping the whole thing to my german importer. I found this thread and it´s very useful hints. Now it´s time to say !! !THANK YOU!!! to every single comment. First i used my newest device with android version 7.1 … fail. Even connection via Bluetooth between phone and tqi transmitter failed. Now my Slash is back in business and i am happy AF !!!! btw... had my phone in flight mode, only Bluetooth on. Again, sorry for maybe bad english, and the huge amount of text for the small solution. Hope everyone get´s his Traxxas back to life!!! Last edited by Loenne-Michel; 01-31-2019 at 01:27 AM.